The Indian Premier League has made the country to go crazy to watch every single match of this 11th season every day. 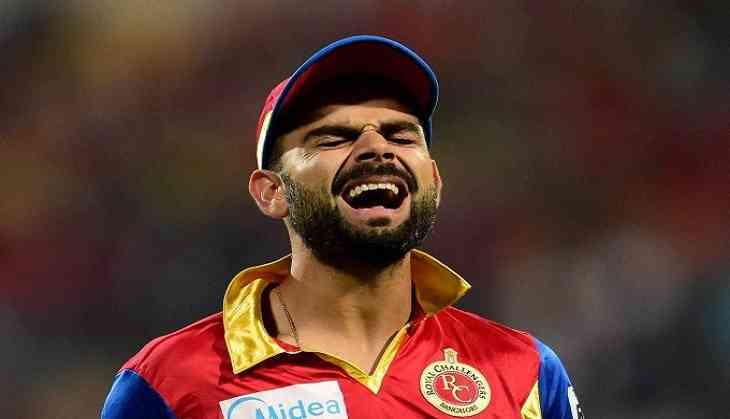 As the fans feelings of excitement can be seen in the social media these days, how all the IPL fans commenting on their favourite team to show their support for the season. Sometimes, they also get angry on social media for not performing well by the team. But it is not possible for the trollers to pass anyone from under their nose. But this time something happened with the Twitterati that they have permitted someone and decided not to troll anymore. Well, here we are talking about yesterday match which was played between Royal Challengers Banglore and Kolkata Knight Riders. RCB has won the toss and elected to bat first. The team scored 175 runs in 20 overs and given the target of 176 runs to KKR to chase. However, the target was very easy for the KKR to chase and finally they won the match in 19.1 overs. Kohli: "Collectively 11 guys need to bring there game to front. We didn't deserve to win"
Feel for Kohli. Brilliant with the bat and on the field. Not going for him as captain. RCB don't deserve him. He's doing it all on his own. Well, Kohli is the only consistent player in RCB and he is on the 3rd position in IPL 2018 for scoring highest runs. He has scored 317 runs in just 7 matches at an average of 63.4.